This 1967 Series 1 E-Type roadster is an incredibly preserved, numbers matching with believed to have only 29,863 original miles as stated from the previous long term owner. It presents in a truly stunning condition of Old English White paint, a matching white hardtop, excellent black soft top, and black leather interior. 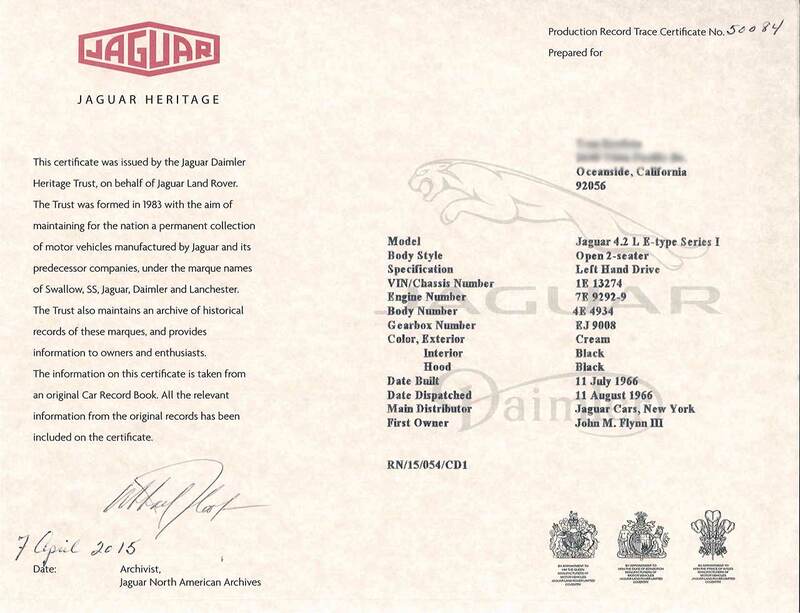 Jaguar Connection had restored, and maintained, this vehicle for its previous owner. It was stored in a climate controlled facility and driven sparingly. 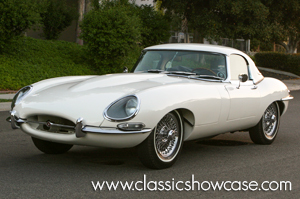 Classic Showcase acquired this incredibly preserved Jaguar and it went through its facility to be taken to a higher level, with all systems gone through and a lot of attention to detail paid to meet their next level standards. This spectacular original E-type shows its incredible beauty and exquisite British looking color combination. The thorough mechanical overhaul was recorded in the car’s log book, which is accompanied by restoration receipts and other records, as well as the Heritage Certificate documenting its authenticity. Now is the time for you to experience one of the most striking and stylish sports cars of all time, the Series I covered headlight 4.2 E-type roadster. It is an ionic design with incredible performance and beauty. It will always be a great investment vehicle and is a highly collectible sports car. It will be able to compete in shows and will bring a great deal of driving pleasure. 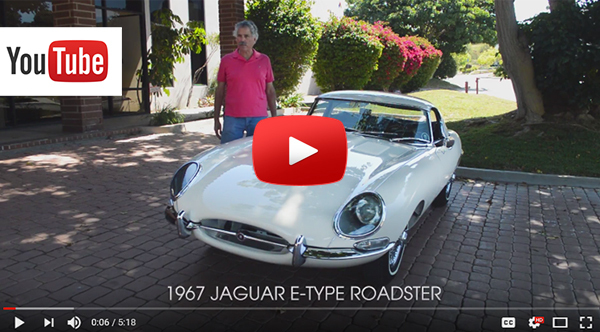 The Series 1 4.2 is a very user friendly, sporty driver, and one of the most collectable of the E-Types. These are wonderful cars with a 4.2 liter engine with 3 SU carburetors and a fully synchronized transmission. Some of the features of this model are toggle switches, full instrumentation with styling and a design that was way ahead of its time with center console, and arm rests. Other features of this Series 1 are its steep windshield and tail lights, which are placed above the bumper line in the rear deck. Similarly, the parking lights are above the front bumper line in the front fenders. In 1964 when the 4.2 was tested, fuel consumption was rated road reported at 22 MPG and a top speed of 140 MPH.